Also writes as Kathleen Korbel. Eileen is a retired trauma nurse. Also trained in forensic nursing and death investigation, Eileen doesn't see herself actively working in those fields, unless this writing thing doesn't pan out. 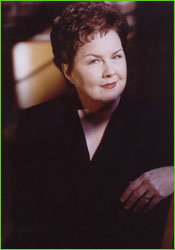 She has been inducted into the Romance Writers of America Hall of Fame, nominated for the Anthony Award. Eileen Dreyer is currently considered a "single author." If one or more works are by a distinct, homonymous authors, go ahead and split the author. Eileen Dreyer is composed of 4 names. You can examine and separate out names.